There are a lot of hack-and-slash games out there, especially on mobile platforms, so it is very hard to stand out of the crowd. The genre lends itself well to the mobile platform due to easy controls and generally simple gameplay. 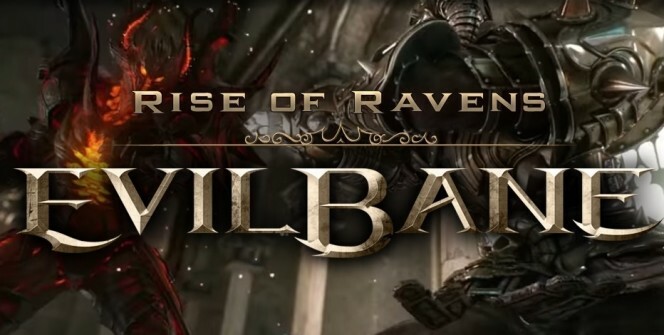 EvilBane: Rise of Ravens is a high-quality game in this genre, with console-quality graphics and sounds, so it is obvious that you should enjoy playing it on the big screen. EvilBane is available on the iOS and Android platforms as a free to play game, and with an Android emulator and a download of the free apk, you can enjoy it on your personal computer, too. As an online hack and slash title, EvilBane drops you into a dark fantasy world where Good and Evil fight it out. You can choose one of three heroes, and you have the ability to alternate between the three as you progress, albeit levels are separate for each one. A unique mechanic in this game is that some skills are tied to your weapons: as you upgrade the ones you have equipped, you can unlock up to 4 skills with them. This lets you be more flexible with your skill tree builds, as you can get some of the missing skills from specific weapons. The dungeons you fight in are fairly short and don’t have any loading screens apart from the initial one. The graphics are very well-done, each monster type has unique abilities with telegraphed attacks that must be dodged, and you hero’s attack have high impact, making the battles satisfying and enjoyable. The environments are varied: from dense jungles, snowy fortresses and bleak deserts, you will encounter a lot of different areas. There are also a lot of bosses to fight, each of these has their unique mechanics and abilities. The game features several different modes. As it is an online-only title, the focus is on competitive and cooperative play. 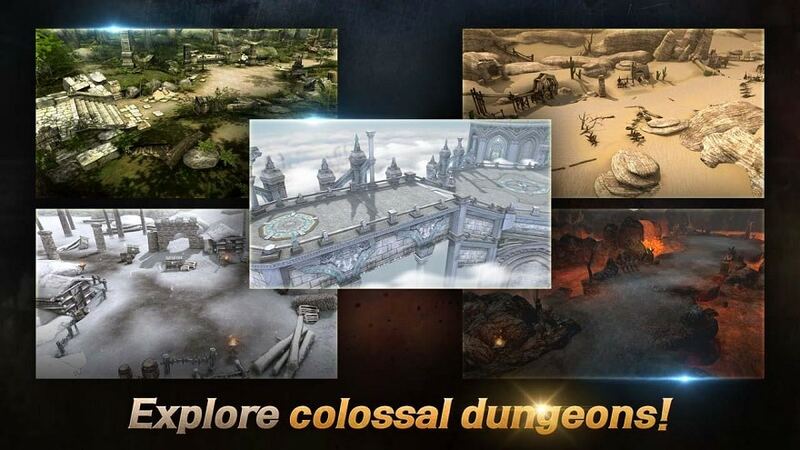 You can do dungeons and raid bosses in solo or co-op with up to 3 other players in real-time, or you can enter the Arena alone or with a team to compete in different PvP modes. Or if you join a Guild made up of like-minded players, you can engage in thrilling Guild vs Guild combat with up to 18 players on each side. As a free game, EvilBane Rise of Ravens has an in-game item shop featuring all kinds of boosts, bonuses and more. Since all of these bonuses are applicable in PvP, the game is quite pay to win, and a regular player does not have any chance of even closing in on the higher spots on the PvP leaderboards. If this is not your goal, then you can get some enjoyment out of this game, but be prepared for a long and arduous grind to make your character slowly better. EvilBane is easily accessible for anyone, as it is free to play and also easy to get started in. Just download the game on your Android or iOS mobile, of if you prefer to play it on a Windows 7/8/8.1/10 or MAC desktop, just run the apk via the Android emulator of your choosing. Warning: EvilBane: Rise of Ravens servers shutted down and is removed from Google and iOS App Stores! Sometimes when playing EvilBane: Rise of Ravens, bluestacks ask you fee to pay but gives you option to download some apps. Every time it asks you just select “Install apps” and continue using it free. I hope you enjoyed this guide, please rate and share. If you have problems running EvilBane: Rise of Ravens on desktop or any other issues, leave a comment below.